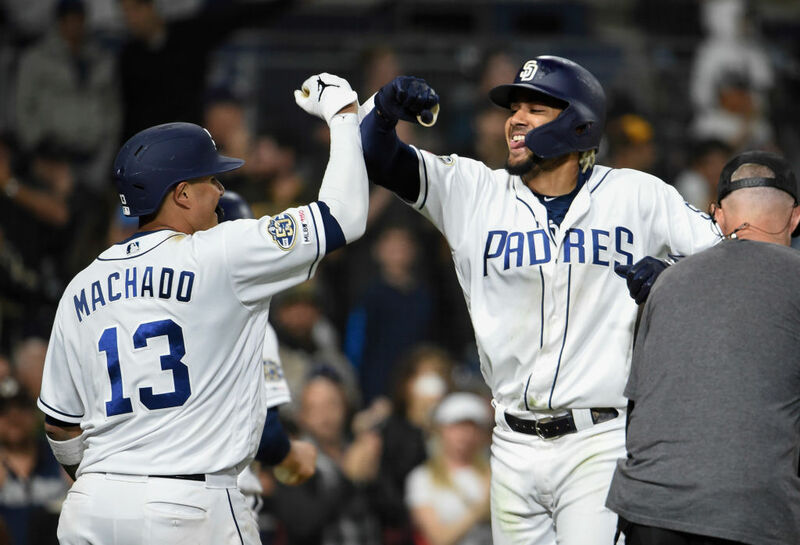 This was a huge offseason for the San Diego Padres, leading some to say they have huge turnaround potential in 2019. They shocked the baseball world to sign one of this offseason’s most sought after free agents in Manny Machado. Machado’s signing could have another major cascading impact as well. The Padres have one of the league’s top prospects, Fernando Tatis, Jr. Thanks in part to the efforts of Machado, Tatis moved up to the Major League level in time for opening day this season. The speculation during spring training was he’d be a mid-season call-up, at best. How did that transpire, and what role did Machado play in getting Fernando Tatis to the majors sooner than expected? Let’s take a closer look. One could argue that Bryce Harper was more coveted, but no one else among the 2019 free agent class was sought after as much as Machado. Playing for both Baltimore and Los Angeles last year, he had 37 home runs with 107 RBIs and a .367 on-base percentage. Prior to this season, he’s made four All-Star game appearances and finished in the top-10 of MVP voting three times. The New York Yankees were rumored to be one of Machado’s top suitors, but after a meeting with them, the team didn’t pursue him strongly. The Chicago White Sox also believed themselves to be strong contenders, but they didn’t land the heralded infielder, either. The Padres eventually signed Machado, making him one of the highest-paid players in all of baseball. The entire league was surprised by Machado choosing San Diego, including the Padres themselves. Once they signed Machado, the team had a decision to make: should the versatile star play third base or shortstop? The question of whether Machado would play third or short was answered, in part, by one of the organization’s top prospects: Fernando Tatis Jr., son of former major leaguer Fernando Tatis. The Padres decided to call Tatis Jr. up to the majors this season despite never having played above AA in his career. Tatis Jr. is only 20 years old, making him one of the league’s youngest everyday players. In three seasons in the minors, Fernando Tatis Jr. swatted 42 home runs with 143 RBIs and 296 hits. While it was obvious he was talented and would be a major part of the Padres future plans, it was unclear whether the team would take the drastic step of calling up such a young, inexperienced player to play this season. Due to minor league baseball contractual rules, it would have been advantageous for the Padres to hold Fernando Tatis Jr. at the minor league level to start the season. That wasn’t good enough for Machado, who saw Tatis Jr. as one of the best players in the organization who could help the team win now. Machado, along with teammate Eric Hosmer, had dinner with Padres owner Ron Fowler to ask that the team call up Tatis Jr. to begin the season. Their argument was simple: Tatis Jr. was the best person for the job and would give the team the best chance to win. Fowler agreed to their request. Fernando Tatis Jr. started the season with the big club. Machado used his considerable star power and sway as one of the league’s highest-paid players to lobby for the young star to get this opportunity. A player with less clout making the same request may have been less successful. 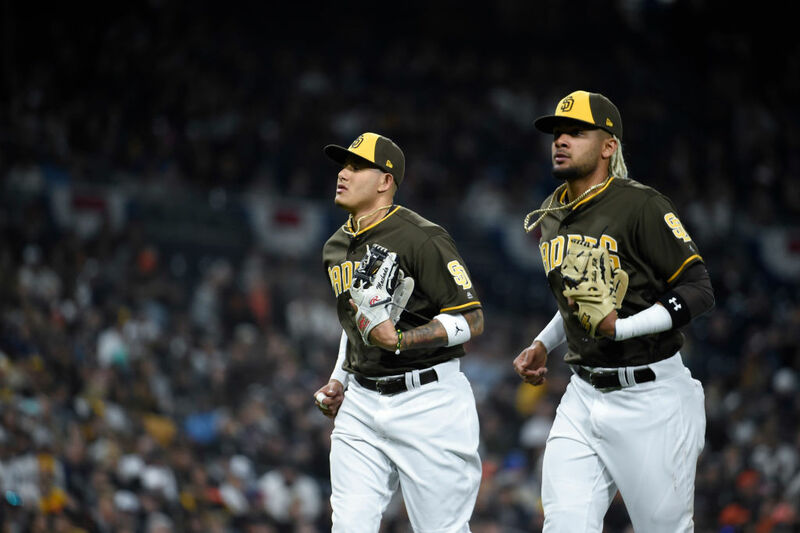 For now, Manny Machado and Fernando Tatis Jr. combine to form one of the most formidable left-side-of-the-infield tandems in all of baseball.